Sweden-based Bonnier Broadcasting’s C More and TV4 have commissioned a crime drama series based on books by novelist and criminology professor Leif GW Persson. Bäckström follows hardened Detective Chief Inspector Evert Bäckström, played by Kjell Bergqvist, and is based on Persson’s novel Can You Die Twice? and parts of He Who Kills the Dragon. The six-part series began filming in the Swedish city of Gothenburg last week and will premiere in 2020. It is being produced by Yellowbird for Nordic streamer C More and Swedish linear net TV4 in coproduction with ARD Degeto in Germany and Film i Väst in Sweden. Niva Westlin Dahl is the executive producer for the project at C More and TV4, while Georgie Mathew is the producer at Yellowbird. Banijay Rights will handle international distribution. 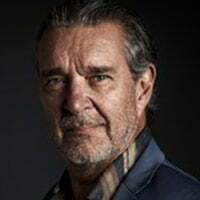 Ulf Synnerholm, head of production at C More and TV4’s drama department, described Bäckström as a “major new venture” into the crime genre for the channels. “With Bäckström, we are taking a proud new leap into the genre that C More and TV4 are, I can promise, best in class at – a locally anchored crime series with broad appeal and high production value. Kjell Bergqvist could have been made for the title role, and we look forward to Bäckström appealing to viewers with his disgracefulness,” Synnerholm added. Jonathan Sjöberg (Hidden: First Born, Black Lake) is the lead scriptwriter and conceptual director, while Amanda Adolfsson (Eagles) is the second director.